Father’s Day is right around the corner and as a far-sighted Amazon Seller with sharp sales instincts, you already know that. Father’s Day falls on Sunday, June 17th this year. Getting in on this holiday gold rush within a short amount of time requires assistance from an effective product scouting and sourcing tool to find profitable products. 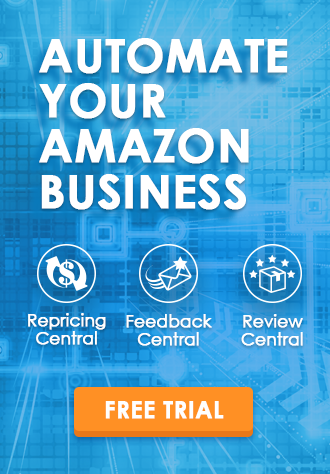 With all that in mind, we are here to provide tips and tricks to help you spot a great variety of hot sellers and source them to your Amazon Seller Central by using BigTracker and the Amazon Father’s Day Gift Guide. Ideally, you won’t have to scramble too much to source profitable products at the last minute and deal with any stale inventory after the holiday is over. 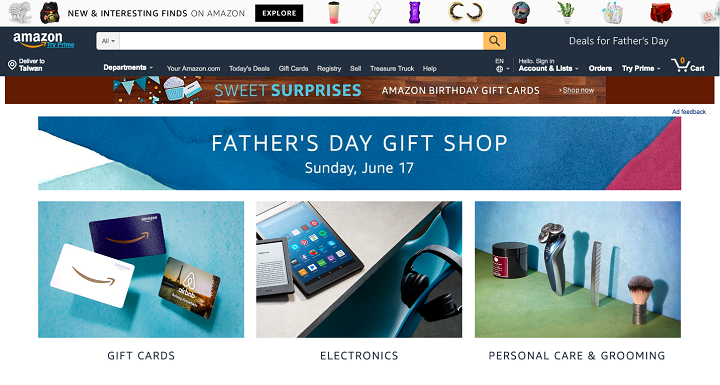 Let’s delve into the Amazon Father’s Day Gift Guide, to see where we should start the online sourcing process for profitable products. Amazon, as considerate as always, helps you categorize all the hot presents for Father’s day, catering to Dads from all walks of life and with various tastes or habits. You can check out the next hot holiday seller with help from an in-depth product research and scouting tool like BigTracker. BigTracker is an invaluable resource and a worthwhile ally to help take away the guesswork when it comes to product research. With an intuitive user interface, you can easily use the BigTracker Chrome Extension paired with BigMover Metrics to forecast the potential success of a product. 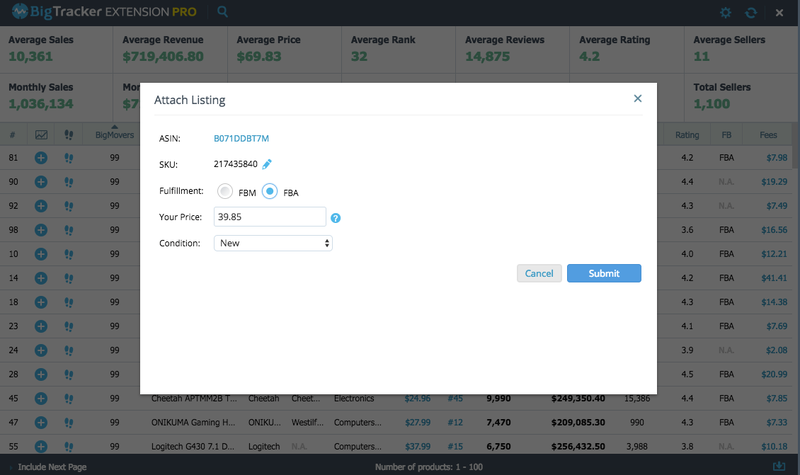 You can also utilize the “Attach Listing” feature to streamline administrative work when adding listing information to Seller Central. In brief, the BigTracker Chrome Extension alleviates the need for lengthy merchandise data analysis. This way, sellers can focus their efforts on improving sales performance. So let’s put the fancy talk aside and demonstrate how it can be used on Amazon’s Father’s Day Selection. 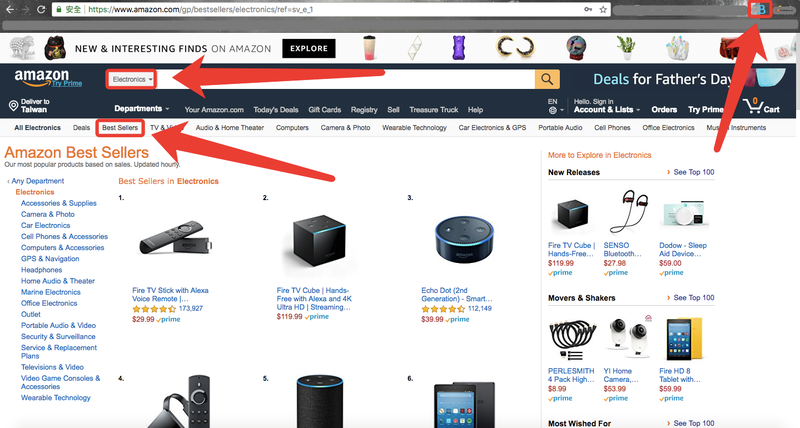 Once you’ve decided which category to dive into, the most straightforward way to check out the category is from the search bar and keywords used to browse Amazon’s catalog. If you ever come across the Best Sellers section as seen below, click on the BigTracker Chrome extension icon (normally found in the top right corner). Immediately you should be able to see the BigTracker Chrome Extension aggregate all the sales metrics of the listing and present them on one single page. If you look at the illustration below, you can see the BigMovers Metrics. You have multiple options as to how you view all of this information. For example, you can click on the header to sort the metrics into ascending or descending order. If the BigMovers presents a “High” score (80-99), it indicates that a product will relatively out-perform any perceived competition. This type of score suggests that sellers should invest shortly. After taking any other sales performance metrics from the upper column into consideration, you can click on the plus button to add these products to the product tracker to start tracking. If you believe some of the trending products have great potential to be profitable products, just hit the “Add” button to start tracking them right away. More importantly, if you want to proceed to sell the product, you can click on the “Attach Listing” icon. Subsequently, you can specify details for the new listing as seen below. The features mentioned above help to facilitate the product scouting and sourcing processes quickly and efficiently. 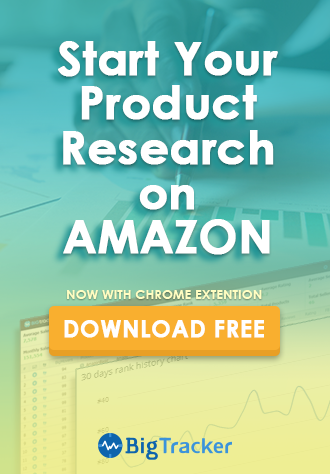 This tool can be utilized as a time-saving inventory management tool, it makes the mundane product research step a whole lot easier. We have put together three popular Father’s Day gift categories, which you can use as a starting point to research new sellers and start product scouting for profitable products. Electronic Gadgets are always an extremely popular gift item, everyone wants to have the latest and greatest piece of tech and Dads are no different. Below are three popular subcategories that fit right into the Father’s Day vibe, no matter what type of guy someone is shopping for (smart, classy or fun). They often don’t come cheap, but people love to go all out to find the perfect gift for their beloved dad. The image below shows how the Portable Bluetooth speaker was researched by the BigTracker Chrome extension. “Manners maketh the man,” as they say in the famous film, The Kingsman: The Secret Service. A self-respecting man always takes grooming seriously, and Dad is no exception. Every man can appreciate the age-old grooming lessons passed down from his own Dad by selecting a classy grooming kit. Moreover, let’s face it, the ladies in their lives are always pleased to see their men at their very best. Grooming and Styling products will undoubtedly play an essential part in many shoppers’ Father’s Day gift choice. The image below shows how the Men’s Beard & Mustache Care was researched by the BigTracker Chrome extension. Sporting goods are always in high demand during holidays and gift-giving times, especially for those Dads who already have exercise habits or routines. Amazon Sellers can easily find trending topics on the Sports News Channel or check for the next big tournament. Admittedly, some research effort is needed when it comes to sporting goods scouting. We can all agree that sports teams’ and athletes’ performance can directly affect the popularity of sponsored brands or sporting goods. When there are team rivalries or big game wins, you can harness that excitement and popularity to sell hot items. This season, the NBA’s Golden State Warriors defeated the Cavaliers. Their fans are on a high and proud of their team, so think apparel, jerseys, caps, and pennants. Alternatively, pick a popular athlete and sell gear to their fans, riding the wave of their fame and brand recognition. Now you know how to get the right Father’s Day products mix, but are you ready for the Price War? 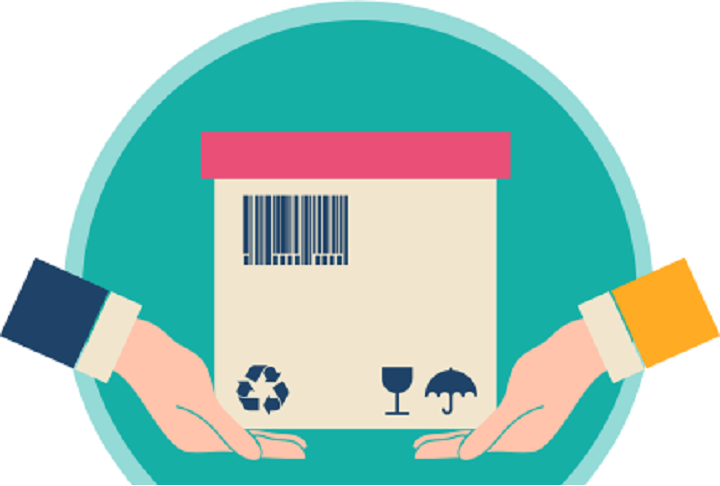 We all know that having the right inventory of highly anticipated products in stock can bring a significant advantage to aid your sales performance, but the journey doesn’t stop there. To keep on top of competitive pricing and manage tremendous amounts of product listings, you’ll also need a reliable repricer. You must have highly versatile Repricing Strategies in place to push out the inventory on a large scale, while you maintain a profit margin in the perpetual Amazon pricing wars. This is where the Repricing Central comes in. BQool’s Repricing Central is a feature-rich, competitor-based repricer which operates in up to 5 minutes. Not to mention, the Repricing Central is packed with a great variety of Bulk Action features to adjust multiple listings at once. From product research to maintaining a competitive edge in the fast-paced Amazon market, BQool has you covered. 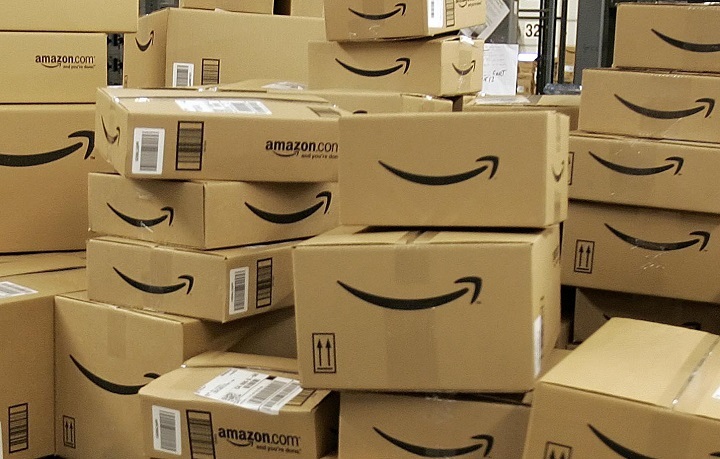 We hope you find the right Father’s Day product mix for this holiday season, and that your Amazon strategies keep you competitive and profitable. BQool is here to help with all of your Amazon Seller needs.